All the lightness of a Le Chameau Jersey lined boot, but neoprene lined together with the performance of a Michelin sole. 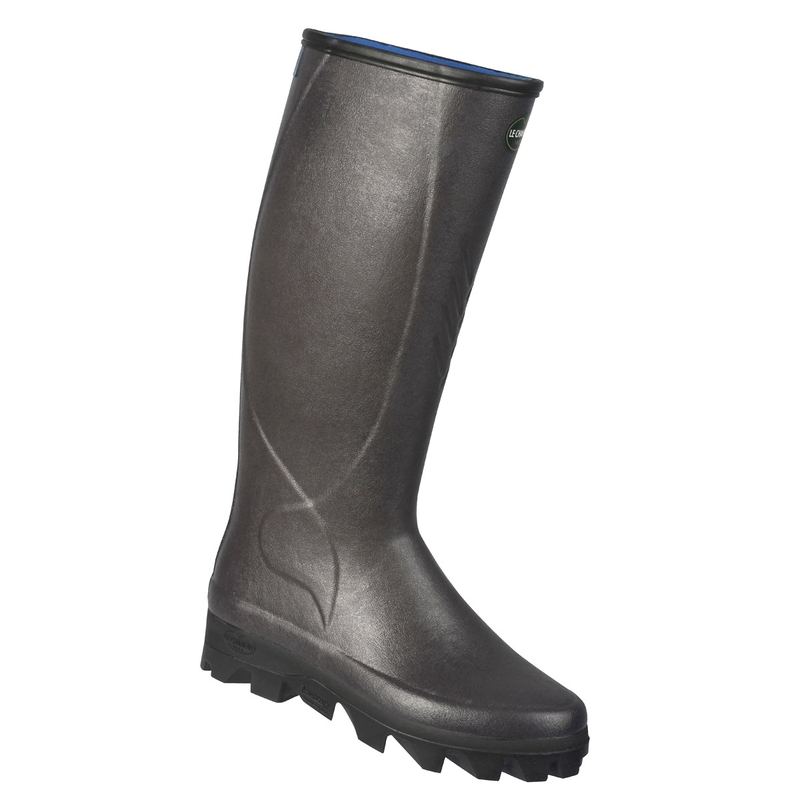 An agricultural boot with a strengthened XL upper with a larger calf size. With a dual rubber compound sole, grip from pneumatic style tread for greater performance (adherence, long life, comfort). I have just bought my second pair. The first pair lasted for about 3 or 4 years and wore through at the back, where I used my other foot to take them off. Comfortable, light, flexible, warm in winter and not too warm in summer, good grip and really can't fault them. Probably the longest lasting boot I have ever had.